Learn How to Use a Fax Machine the Right Way – If you want to learn how to use a fax machine, then we have some tips that may help you. While it is true that a fax machine is not used as frequently today, it is still an important device that can help us a lot. This device can be used for transmitting important forms, documents, and also hand-written notes. 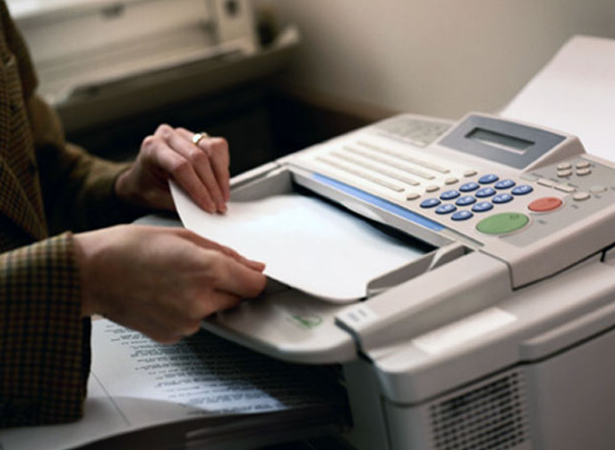 By setting up the fax machine properly, you can send documents easily. If this is your first time using a fax machine and you want to know how to operate this machine correctly, check our tips below. The following are some important steps that you must know so that you know how to use a fax machine correctly. The first thing that you must do is to set up your fax machine. Make sure that you place the fax machine on a flat surface close to a telephone jack and power outlets. Don’t forget that you must ensure that the paper feed is facing outward. By doing this, you can prevent the incoming scanned documents and faxes from getting stuck between the machine and wall. The next step is to connect the machine to the power source. Simply plug the machine into the nearest wall outlet. When doing this, you need to ensure that the plug fits into the power outlet properly. Once you have connected the machine to the power outlet, make sure that it remains off. If you want to ensure that your fax machine can work properly, then you need to ensure that you have a phone number and an active phone line. What you must know is that your fax machine uses a telephone line so that it can receive and transmit signals to create documents. Make sure that you connect the phone cable to your fax machine’s phone jack. Try to double check so that you know that the cord is connected to the wall’s phone jack and the machine. To use the machine properly so that it can create the documents, you need to add paper and ink. Make sure that you have these supplies on hand. Once you have inserted the paper and ink, the next step is to check the connection. Simply turn your fax machine on and check the connection. As we have said earlier that the connection must be secure if you want to use the machine correctly. Once you have set up the fax machine, it is time to send a fax. Using a cover sheet is the best way that you can consider as it can ensure that the document gets to the correct person. When sending a fax, you must add page numbers too. Learning how to use a fax machine is not difficult and you can use our simple tips mentioned here.